Panasonic have launched a highly-compressible Thermal Interface Material (TIM) which is used to reduce contact thermal resistance between rough surfaces in extremely thin spaces. Soft-PGS enhances the thermal coupling between heat producing devices (heat sources) and heat dissipation devices (the heat sinks). Thermal Interface Material (TIM) is a key component in the majority of power electronic systems. Heat generated by semiconductors has to be transferred to a heat sink and ultimately dissipated. The Soft-PGS from Panasonic is a 200µm thick graphite sheet designed for use as a thermal interface material for IGBT modules. 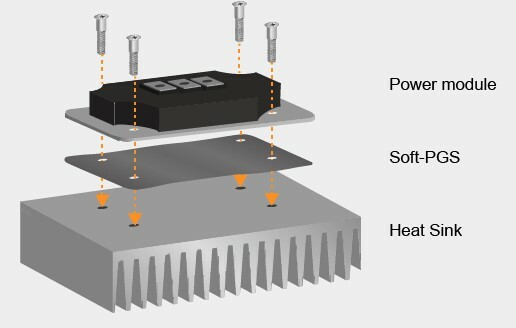 As Soft-PGS can be compressed by 40% it is an excellent method for dramatically reducing thermal resistance between a heat sink and an IGBT module. The 200µm thick Soft-PGS sheet is easy to install, and has far lower labour and installation costs than thermal grease or phase change material. 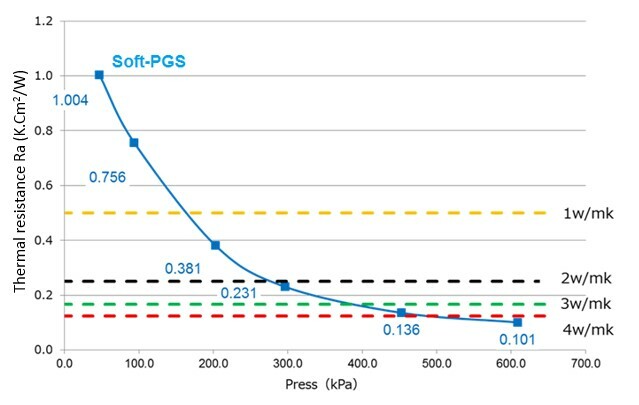 It is possible to achieve consistent and reliable performance using Soft-PGS especially compared with thermal paste products which can be messy and difficult to install due to variations in application thickness and they also degrade over time. Soft-PGS guarantees a thermo stability of up to 400°C and high reliability against intense heat cycles (-55°C to +150°C). Its thermal conductivity is guaranteed at 400W/mK for X-Y direction and at 30W/mK in Z direction. The Panasonic Soft-PGS material is available in custom cut sizes to suit over 1600 IGBT module part numbers from various suppliers, in addition 3 standard sheet sizes are also available. 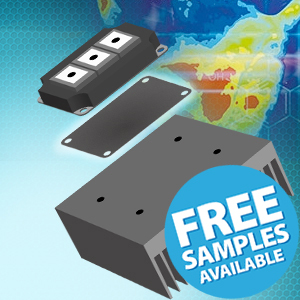 Anglia are offering customers a FREE sample of Soft-PGS Thermal Interface Material from Panasonic, please fill in the form below to register your interest now.